As greyhound racing slowly ends, communities are turning the page. In Bridgeport, Connecticut the former Shoreline Star dog track has become the largest municipal animal shelter in the state. In East London, former Walthamstow Stadium is in the process of becoming affordable housing. These projects prove that the end of greyhound racing can ultimately be beneficial to the communities that were once dependent on dog racing revenue. "This is an opportunity, a bold step [and] a proactive step by the Urban Renewal Authority in Commerce City to look at controlling its destiny in this area and region ... The connectivity of the area has been stifled a little bit by the size of this site, so we want to connect the community and make it one." This is a wonderful step forward for this property, which once housed thousands of greyhounds. Countless dogs endured lives of terrible confinement at the track, and many suffered serious injuries. Additionally, a greyhound trainer was repeatedly fined for "mistreatment of (a) racing animal" at Mile High, and a dog tested positive for cocaine at the facility in 2005. 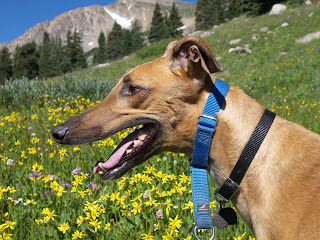 These issues were documented in a Report on Greyhound Racing in Colorado we released last year. Greyhound racing goes against our values as a community, and must end. This positive change will not only help greyhounds, but can also pave the way for new developments that have beneficial impacts for the community as a whole. To the municipalities that are still dependent on dog racing, take note. Commerce City is giving you a glimpse of the path forward.